Today’s post highlights a couple other cool pieces of gear we enjoyed while hiking this summer. 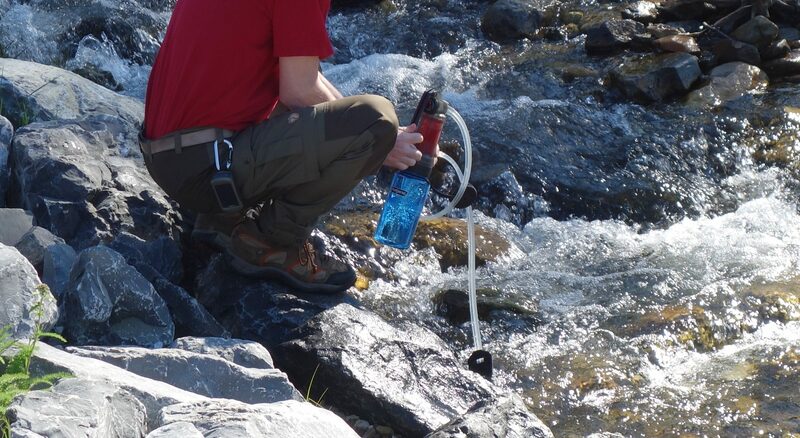 Above is a photo of my husband getting water for us from a mountain stream. We are hiking in Alberta and still carry some water with us, but way less than we used to as we can fill with cold, safe water as we go. Have a look at the video below if you are interested in this incredible filter. Apart from being informative, the footage is from Peru’s countryside, which is beautiful. Here is a great video on the MSR Water Purifier. 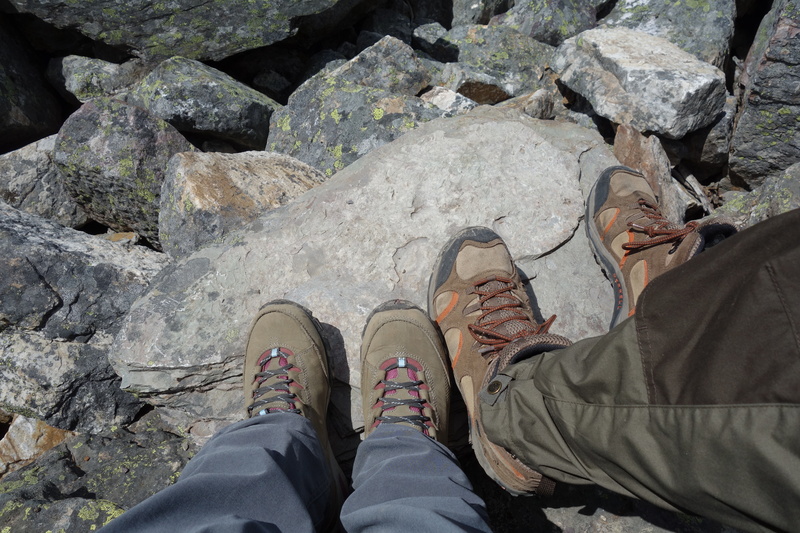 And finally, one last hiking item for the year: I replaced my hiking shoes with Vasque Talus Trek UltraDry in gargoyle and damson. I had to laugh at the colour names though. Fun to have gargoyles and plums on my feet – LOL. I have fairly narrow feet and these shoes perform well for me – lots of stability, traction and comfort! Mine are the ones on the left side. I’ve been looking for a water purifier, thanks for the great find! This is an awesome post. I never heard of MSR purifier but I think I must take one as I am a frequent trekker. This would be the best water purifier to complete my need on the go. We have found it to be really useful, and have enjoyed cold clear water that we would not have felt safe to drink without using it! It is really light to carry as well.